Come on, Henry said, stepping up onto the window ledge. Estelle is right. We can't let anything happen to Sersha. Henry s bravery encouraged her and she nodded her head as he jumped. She watched his wings become visible, spreading wide as he sailed through the air. Climbing onto the ledge Haley jumped after him. It has been a while since teenage twins Henry and Haley Miles moved to the Bonner homestead in Idaho, stumbled onto a map and key, and discovered a portal into another world filled with fairies, magic, and danger that eventually led them to uncover the mystery behind a long-held legend. Now fairy Princess Sersha is trapped on the wrong side of the portal and her brother, Prince Valian, is injured and unable to leave the city of Roan. After the twins are visited by Estelle, a witch, who tells them they must protect Princess Sersha at all costs, the four return to Roan through her postern. As soon as they arrive at Hilda s brick cottage, the twins learn that Prince Valian is healing, but that the land of Wisen has been overrun by strange occurrences. Its creatures are going berserk and fights are abundant. As they begin to investigate, Haley discovers she is competing with Prince Valian s callous nurse for his attention, even while she is being pursued by a dark, handsome sorcerer. Worse yet, now Queen Lilia has disappeared. 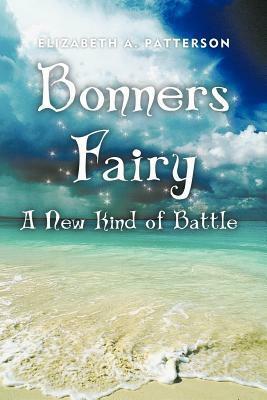 As the famous foursome split up in search of the missing queen, they are forced to embark on a journey into unknown territory as love, jealously, rage, and humor leave their mark upon the fairies. "